I began Assignment 12 on May 11, 2008 and I completed Assignment 12 in only seven days May 17, 2008. 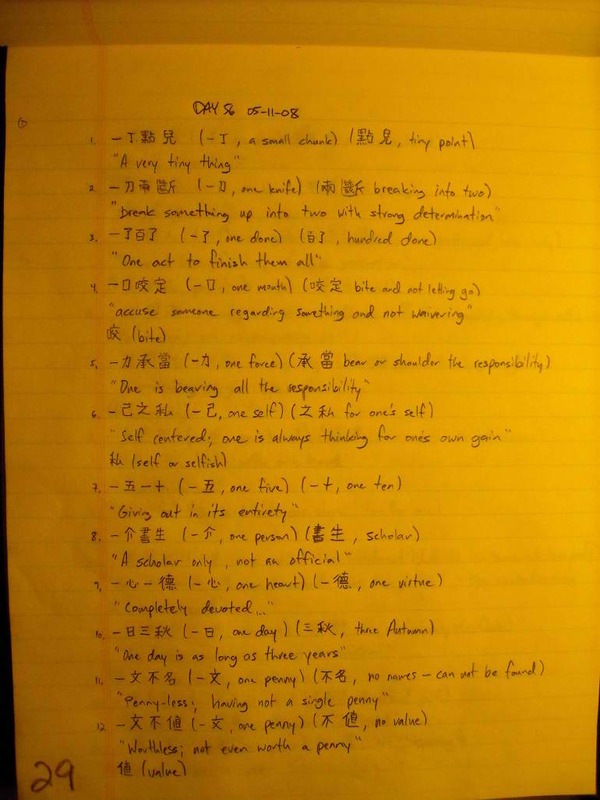 Note: There is a one day gap (May 10, 2008) between Assignment 11 and Assignment 12. 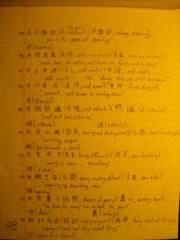 Although it is not listed as an additional assignment, on May 10, 2008, I decided to do a full review of all my previous work before I began my study of Chinese Idioms. This lesson was very challenging but paid off well in the end. It really took phrases to a new level. A key point to this lesson was learning how to demarcate a phrase. Of course there were only three possibilities, either the four word phrase contained two phrases, a single word and a three word phrase, or a three word phrase and ending with a single word. It did not take me too long before I could distinguish between the different demarcations because the four word phrase would only make sense if I demarcated it correctly. 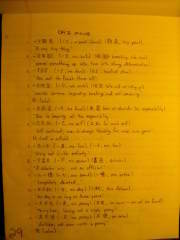 The most interesting part of this lesson was simply learning how similar Chinese idioms are to English ones. I just always assumed that idioms were unique to their respective languages. I was shocked and amused to see that I was utterly mistaken. 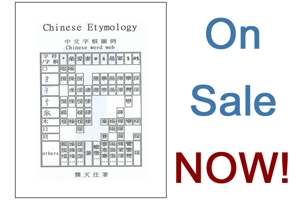 Chinese not only had similar idioms, some of them were exactly the same, and often I found myself relating more readily to the Chinese way to say it than the English way. 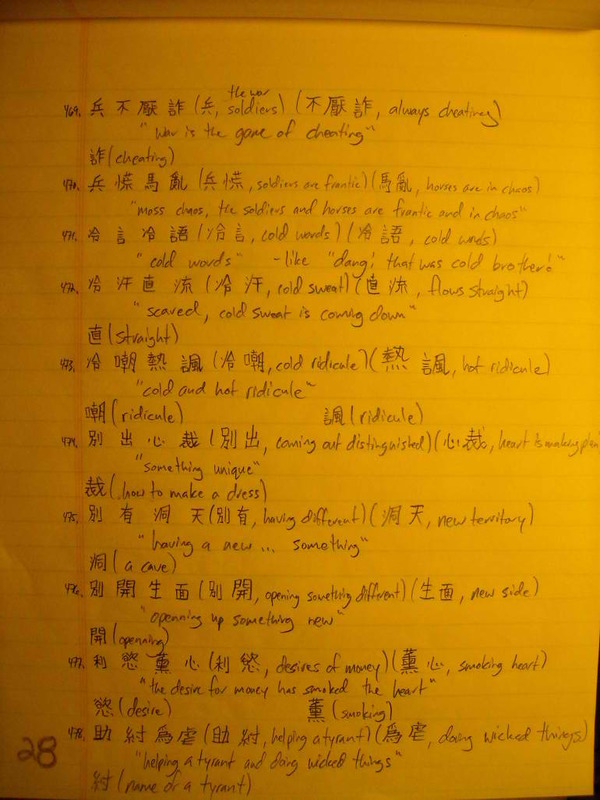 So, in fact, in this lesson I was learning, idioms, four word phrases, three word phrases, two word phrases, and how to demarcate the phrases all at once. It really went beyond killing “two birds with one stone”!